Colorado Rustic Walnut & Barnwood Vanity - 36", 48" or 60"
Colorado Rustic Walnut & Barnwood Vanity - 36"
Add some rustic yet refined flair to your cabin bathroom with this 3, 4 or 5 Foot walnut and reclaimed wood vanity. The vanity does not include the sink. The customer will need to cut a hole in the top to the specifications of a third-party sink manufacturer. Hand-constructed of rustic walnut with reclaimed barnwood panel accents are added to give this piece distinction and style. This stunning piece has three full-extension 100-lb ballbearing drawers and one door for ample of storage space. This piece is handmade from walnut and actual weather-aged wood recovered from old barns and other structures in the Rocky Mountain area. Some furniture pieces include support parts made from natural dead-standing timbers. This item generally ships in 6-8 weeks. As with most of our rustic furniture, this item has free curbside delivery to the lower 48 states! This manufacturer guarantees the quality of materials and workmanship of their furniture when used in the intended manner.  Cracks, knots, worm holes, and color variations add character to the wood and are not defects. If a crack compromises the structural integrity of the wood, it will be replaced.